These are little magnets to stick notes to the refrigerator. You can order them at Jailbreak Toys. They are yours after paying $12.99. 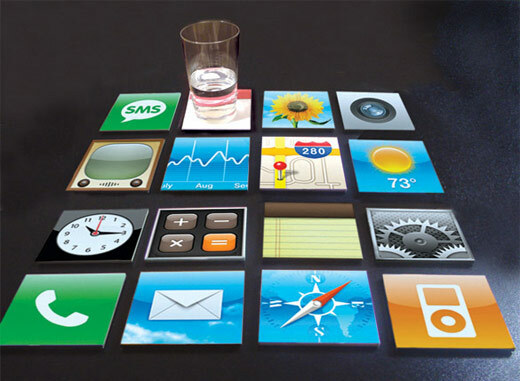 iPhone icon coasters. Order them at Menios. They are only $59.99. Uh, well, perhaps at bit expensive. 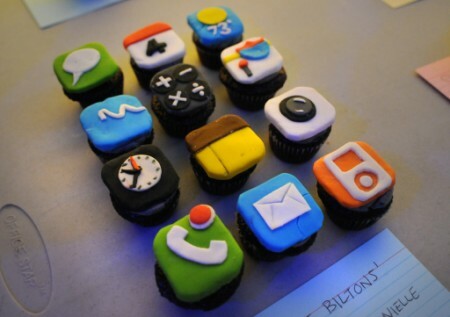 But they are fun and if you can afford an iPhone, you must be able to get these. And as you have the coasters, you can serve coffee without ruining your table. And with coffee comes cakes. You have to bake them yourself or ask your local baker. With thanks to @pvantees and @jokeve.